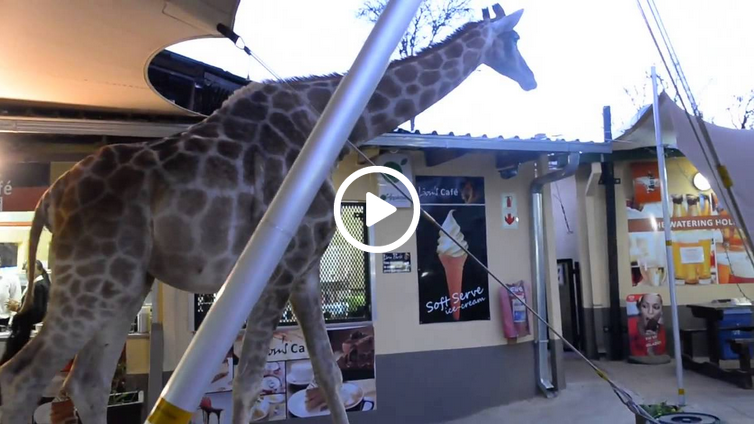 Giraffe Helps Himself To Dinner At A Local Restaurant. “A priest, a rabbi, and a giraffe walk into a bar”. Okay I know it sounds like a bad joke, but the last part is true. A giraffe, named Perdy, gave diners at a local restaurant in South Africa a surprise when he wandered in to look around. 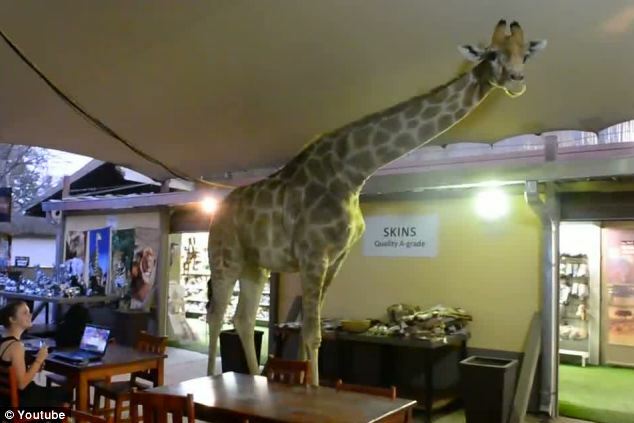 The giraffe walked in, looked around for about 60 seconds, and did not appear too impressed with the food. “How do you explain this to someone,” one amazed spectator asked a fellow visitor. The video has had thousands of views on YouTube. Take a look for yourself!